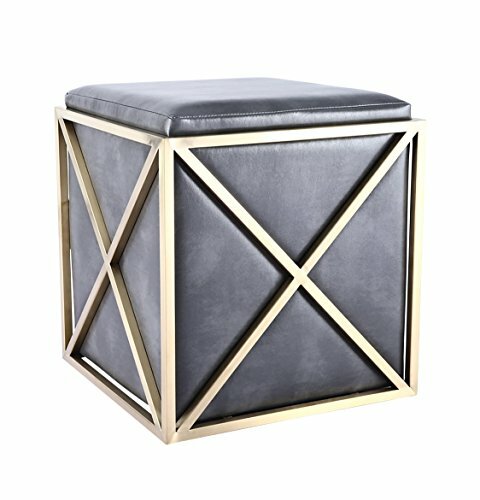 Add class into your living room, use this stool to rest your legs, sit, or as a simple accent piece. An edgy vintage gray finish contrasts a brushed gold frame to create an eye catching piece of furniture for your home's modern décor. Minimalist and contemporary, this modern stool makes an elegant addition to any room. If you have any questions about this product by UrbanMod, contact us by completing and submitting the form below. If you are looking for a specif part number, please include it with your message.